Haddon Hall, located in the heart of the Peak District, is one of England’s most elegant and timeless stately homes. For hundreds of years Haddon Hall has been welcoming visitors, always enchanting with its beauty and romance. 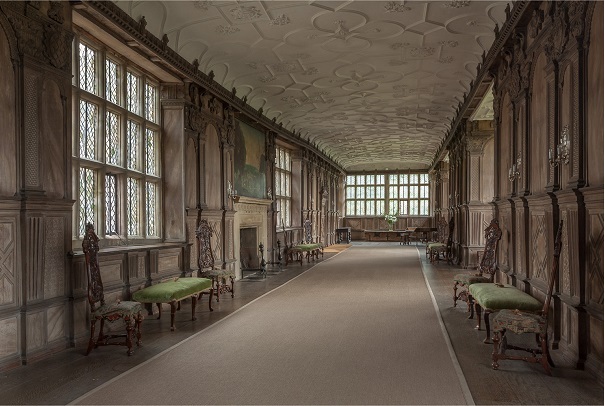 Present-day Haddon Hall dates from the 12th Century to the early 17th Century, whereupon it lay dormant for over two hundred years from 1700 until the 1920s, when the 9th Duke and Duchess of Rutland restored the house and gardens, and once again made it habitable. 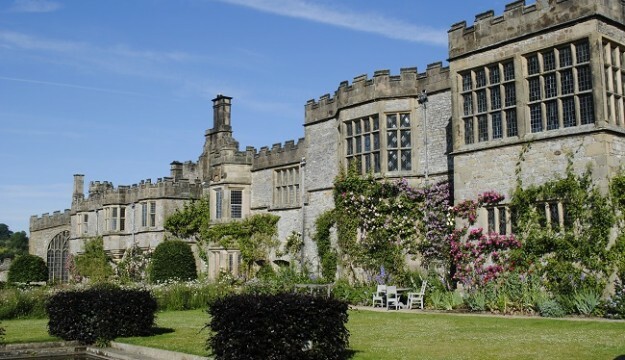 Now home to Lord and Lady Edward Manners, Haddon Hall is one of England’s most elegant and timeless stately homes, and a magnificent example of a fortified manor house. Enjoying fine Tudor and Elizabethan architecture, visitors to the Hall can experience the grandeur on display, marvel at the rare 15th Century frescoes in the Chapel, be enthralled by the surviving tapestries adorning the walls, view the magnificent Banqueting Hall with Minstrels’ Gallery and walk the Long Gallery, 110 feet long and 17 feet wide where the family and their guests would take their exercise without chancing the vagaries of the Derbyshire climate. Its position on the upper floor of the Hall also afforded fine views of the gardens and the plethora of roses which blanket the limestone walls in a sonnet of pale pinks and whites. Towards the end of March visitors can enjoy tulips and narcissi together with aubrietia and cherry blossom. Those in turn are succeeded by clematis and from April to mid-June delphiniums and from mid-June onwards, up to 40 varieties flowering throughout the gardens. Haddon has become the choice location for many film-makers, playing host to no less than three versions of ‘Jane Eyre’, became Prince Humperdinck’s Castle in cult movie The Princess Bride and was also used in ‘Elizabeth’, ‘Pride & Prejudice”, ‘The Other Boleyn Girl’ and BBC series ‘Gunpowder’ with stars such as Dame Judi Dench, Colin Firth, Keira Knightley and Kit Harrington all filming at Haddon Hall over the last few decades. From March to the end of September, plus autumnal and Christmas periods, the Hall hosts a number of events that bring the stories of the past to life, with 2018 playing host to Guided Tours, Estate Walks, Sir John Savile’s Household, Musical Performances, Artisan Markets, Halloween and Christmas events.